Vanquish Boats Debuts the Vanquish 26DC at the Palm Beach International Boat Show. The show takes place from March 22-25th in West Palm Beach, Fla. 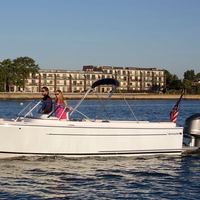 The Vanquish 26DC is a composite construction premium day-boat with exceptional stability and performance. 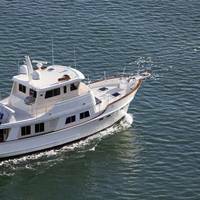 She is a blend of the classic American New England style with modern touches and an advanced ZURN hull design. Displacement: 4,500 LBS. 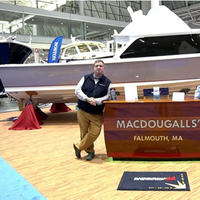 A fateful meeting between Chris Sullivan of MacDougalls Cape Cod Marine Service and Tom Orr of Quantum Paint at the Newport International Boat Show last September began a collaboration that produced the unique, stunning custom Quantum hull color on the restored Bertram 31 you see here and the application of other Quantum topside paints on the cabin house/flybridge and deck. “We had worked with Quantum on previous paint jobs and were very impressed not only with the high-quality finish, but also with how easy it was to apply,” Chris Sullivan said. 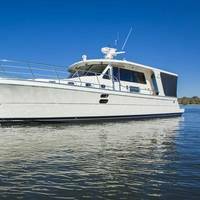 C. Raymond Hunt Associates, a boat design firm that continues to expand on the legacy of its founder, C. Raymond Hunt, to produce innovative boats with rugged seaworthiness, is now celebrating its 50th year. 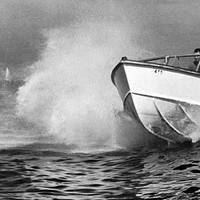 “Ray Hunt was a genius, able to intuitively know how boats work and with the courage to experiment,” said C. Raymond Hunt Associates President, Winn Willard. “We have taken Ray's ideas and applied them, honing our expertise and knowledge from the days of the early deep-v hulls. 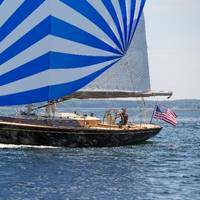 Now we have an 11-meter RIB on virtually every large ship in the U.S. Adding to its roster of marina office locations at popular yachting destinations, Denison Yacht Sales has announced the opening of its four newest office locations. In Annapolis, Md. at Annapolis Landing Marina, located near the Chesapeake Bay, this new Denison office is led by yacht broker, Lloyd Cooper, and is in the heart of the maritime district of Annapolis, with several major boatyards nearby. A second location has been opened in the New York/New Jersey area, located at Liberty Landing Marina, a 520 slip, full-service marina and area attraction centrally located between Jersey City, N.J.
Capt. 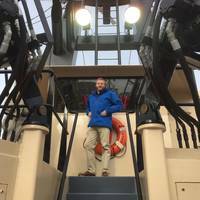 Shawn Brule, who retired from the U.S. Coast Guard last August after 22 years of service, is the new owner of TowBoatUS Cape Cod, an on water towing and assistance service for recreational boaters. 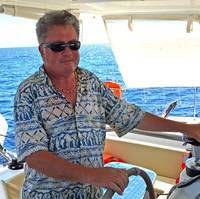 “I’ve always known I would own a boat towing company at some point in my life,” said Brule, who began working as a deckhand in a similar business when he was a teenager in Florida. 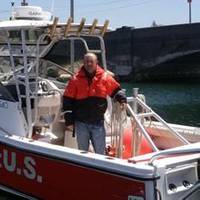 Brule, who was a senior chief boatswain’s mate, spent his entire Coast Guard career in New England waters, serving for the last five years as head of the Aids to Navigation Team out of the Boston station. 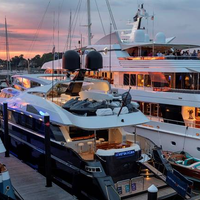 Newport Exhibition Group announced today that its 45th Newport International Boat Show will take place September 17th on the Newport waterfront along America’s Cup Avenue in Newport, Rhode Island. One of the largest in-water boat shows in the country and the premier show in New England, the Newport International Boat Show encompasses 13 acres and will host hundreds of exhibitors from around the world with new powerboats and sailboats ranging from 16 to 100 feet, plus a variety of accessories, equipment, electronics, gear and services for boaters. 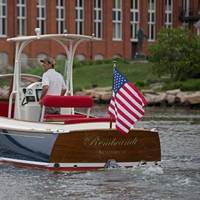 Newport Exhibition Group, owners and producers of the Newport International Boat Show, announced today that its 2014 Show was a success. Boats of all sizes were selling as reported by powerboat and sailboat companies throughout the four-day event. Attendance was up slightly (5%) over last year, and typically, Thursday and Friday brought in the serious buyers. “Each September we plan a very significant exhibit of our Sabre and Back Cove ranges at the Newport International Boat Show and this year was no exception with seven boats on display,” said Bentley Collins, VP of sales and marketing, Sabre Yachts. 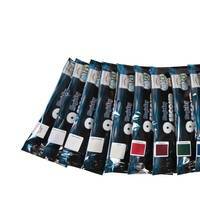 MagicEzy, Australian manufacturer of new MagicEzy9-Second Chip Fix, MagicEzyHairline Fix and MagicEzyMega Fusionboat surface repair products, has announced that American marine outfitter Defender Industries is now offering its products nationwide through its website, mail order catalog and 110,000-square-foot warehouse outlet store in Waterford, Connecticut. 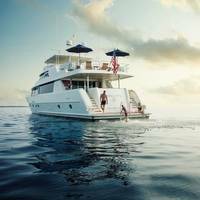 A marine outfitter since 1938, Defender offers an array of products covering every aspect of boating equipment, gear and supplies. With roots in the U.S. The new Atlanta office is located in Atlanta's Midtown district, front and centers on Peachtree Street, the city's busiest thoroughfare. 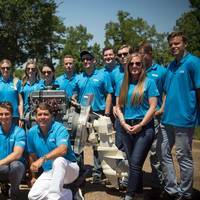 This location will serve as the company's national corporate headquarters, and a satellite sales location, as well as a "Port of Call" for Bavaria owners residing in, or visiting Atlanta, says Bavaria. 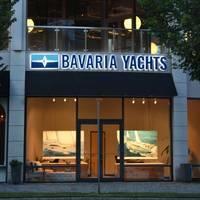 "We are excited to continue our expansion across the U.S.," explains Kenny Feld, Managing Director of Bavaria Yachts USA, "we have been energized and humbled by the eager reception of U.S.